The past is another country. A dangerous one. Cady McCall is ready to be rich and famous. She’s sacrificed everything, putting her work ahead of family and friends. Now with mad success and huge wealth so close she can taste it, her life is blown apart by Deputy Marshal John 'Titanic' Smith, the man who rescues her from two muggers, only to carry her off into history. 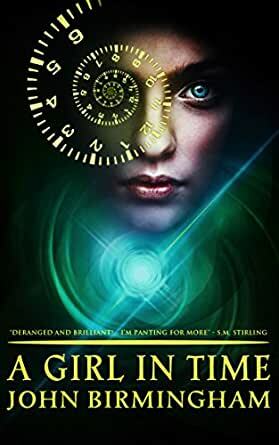 Lost on the seas of time, Smith is desperate to get home to his family in 1876, and now Cady is lost along with him, facing danger and finding love in Victorian London, Ancient Rome and in the near-future America of President for Life Donald Trump. "John Birmingham has done a smashing time-travel, cross-cultural adventure, mysterious strangers, dystopian Trumpist gladiator uprising alternate history sword and sandal Western bodice-ripper mystery novel and I'm panting for more. Great characters, dynamite realistic action, and Jack the Ripper among the Victorian proto-feminists. Deranged and brilliant!"